"That hall will make a nice backdrop to the play, probably"
The play was going to begin at 7pm, but people were allowed into the garden where the performance was as early as 5.30pm. 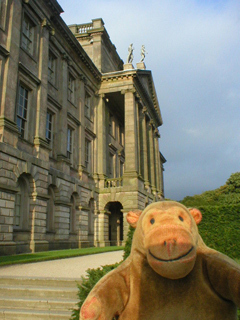 Mr Monkey made sure he was there in plenty of time, and studied the outside of Lyme Hall as he scurried around it to the garden. 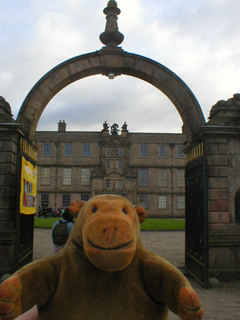 You can read about Lyme Park at the National Trust website.